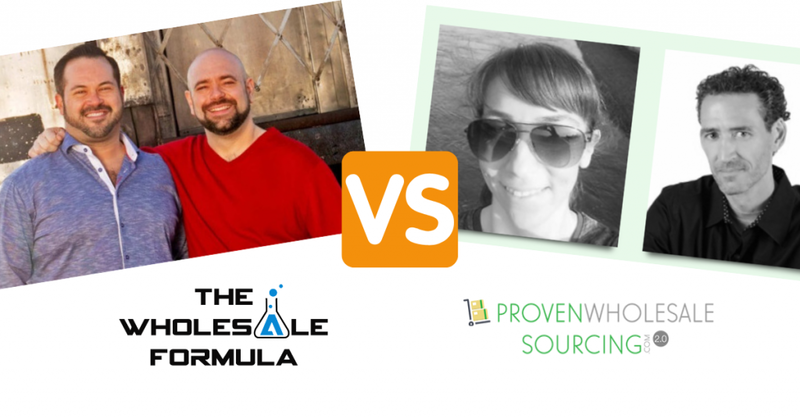 A handful of folks are emailing me with: "Jordan, what's the difference between The Wholesale Formula and Jim Cockrum's Proven Wholesale Sourcing?" First, both courses are excellent. Both providers are of the highest integrity, and they are successful Amazon sellers in their own right. I am an affiliate partner of each, which means I may receive compensation from the provider if you buy one. The Wholesale Formula enrollment is through February 21 2019 and it's for $2497 for lifetime access (you can pay in installments). 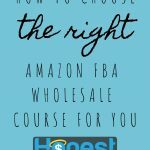 The Wholesale Formula gives you lifetime Access to the TWF Course (including step-by-step training, tools, guides, transcripts, and strategies) plus $3000 worth of software discounts, free $3500 in useful bonuses from me, full access to all future updates, Virtual Assistant training modules (so you can outsource the 'grunt' work), a ticket to their live event, and the group coaching and private Facebook group noted above. When you buy The Wholesale Formula from me , I provide you with additional bonuses to help you. I pay for a lot of them 'out of pocket' because many Wholesale Formula students tell me "Hey Jordan I still need help with ______ for my Amazon business". 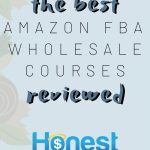 Those bonuses include: $100 worth of freelance help; a free $1997 fulfillment package from FBAInspection - a major, trusted prep center; even more software; a $150 Amazon product list (a list of products on Amazon that are ideal for you to consider sourcing because they meet desirable critera. ), and more - Again, all free. More details on those bonuses are here. Proven Wholesale Sourcing has great content (over 54 step-by-step videos and transcripts) and was last updated in July of 2018. But the focus is primarily around "finding suppliers," where The Wholesale Formula provides full instruction and support for starting, building and running a wholesale-based Amazon business. Explained further: The Wholesale Formula's system includes some very detailed training - essentially a "blueprint" - for various areas of your business' growth. These areas are covered minimally or not at all in Proven Wholesale Sourcing. Examples: "How to" info on pre-fulfillment centers; inventory management software; SOPs (Standard Operating Procedures); helping Brand Owners enhance their existing Amazon product presence, etc. 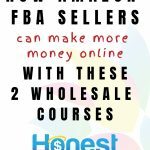 This training is not critical nor essential for you to get started in wholesale. If you need any additional substantial help from Jim Cockrum's Proven Wholesale Sourcing, Jim's team will suggest you hire a coach. I have heard this runs $3500 and up to start. There is nothing wrong or unethical with them doing this, and their coaching is excellent. That $297 $37 price simply does not allow them to provide personalized help to you for free - doing that would simply put them out of business. That said, the course itself is of incredible value. The Wholesale Formula opens only once a year (but enrollees get access to training materials year round, and all updates), where you can join Proven Wholesale Sourcing anytime. With the limited enrollment, The Wholesale Formula founders can ensure their students get their full attention during set time periods (like in the live group coaching mentioned above). 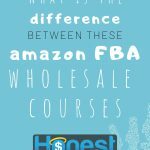 In short: If you're just looking for solid wholesale sourcing training and you don't feel you need all the extra bonuses, Proven Wholesale Sourcing is excellent. 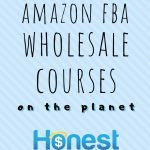 If you are seriously looking at making wholesale the cornerstone of your business and growing rapidly, and you want to utilize the bonuses to help you with your business and personal growth, I highly recommend The Wholesale Formula. See my research page for The Wholesale Formula for more in-depth discussion. Hi Terri: Anyone paying in installments are eligible to receive all bonuses after their 3rd and final payment when they enroll in The Wholesale Formula via the link on my bonus page. The latest bonuses for Feb 2019 enrollees are described on that same page. Please scroll down on this page to where it says “The Fine Print” to see when the bonuses are distributed. (The payment plan enrollees are referenced in italics in that “Fine Print” section. Hey Chris, I had some questions about TWF. I’ve been sellling for a little over a year. I still have a full time job so I’m not counitng on Amazon to pay my bills right now but I want to grow – hopefully faster than I am currently with RA/OA. 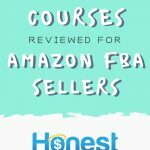 I’ve previously done courses with The Selling Family and TA Academy and I’ve been able to really justify those costs and make that money back quickly. For some reason I just can’t wrap my mind around what I am getting with TWF that is so much more expensive than other courses. I guess what I’m trying to figure out is if it is worth it to spend that big of a chunk of my sourcing dollars on a course and about how long it takes to put the information in the course into action to see results? How long does it take to just view the course? Do you need to buy other tools/software etc. to really be able to use the strategy they give you? Hi Jessie, my name is Jordan 🙂 Those are great questions. The ‘why so expensive’ is actually answered right here. 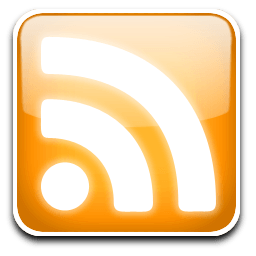 Your other questions can be answered in The Wholesale Formula’s Official Facebook group here. Hey Jordan, i had a question i really want to dive into wholesale asap. 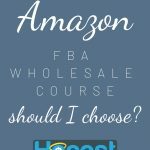 Do you think it is smart to dive in to the proven wholesale sourcing course first while waiting for the wholesale formula? I know they might open in Jan 2019. Hi Bryan, you can’t go wrong with Proven Wholesale Sourcing, it’s excellent and will give you more than enough info and help to get started. Thanks for the reply, i wanted to purchase the wholesale formula because i feel it’s a lot more that they offer but waiting 5 months (till Jan 2019) is a long time for me and i can already get up and running in wholesale by that time. 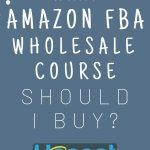 Last question is Proven Wholesale Sourcing course up to date for 2018? Bryan it’s up to date! Thanks Jordan, I’m going to wait for it to hit the PAC. Got in early on that and it was worth every penny. Hi Jordan, when does The Wholesale Formula reopen? Nonsense. Read the review again, it’s totally fair and 100% accurate. I don’t have nearly the 1997 required for TWF. Am considering Proven Wholesale Sourcing. Should I wait to purchase until it is included in PAC or just spend the 97 dollars now? How much general Amazon selling instruction is included in PWS? Sorry for the delay on this (some of the comments ended up being marked as Spam). 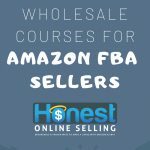 Proven Wholesale Formula itself does not have basic Amazon selling instructions, that’s available in the entire Proven Amazon course (http://PACCourse.com). I wish I had that sourcing software when I was doing OA. Looks fantastic. Always like reading what you put Jordan. Sorry for the delay on this (some of the comments ended up being marked as Spam). Thanks Waddy!